Tam 's favourite toy is his Blue Dog Ball, given to him by Tilly as a present. He loves it - and your dog will too! - Soft and REALLY Bouncy! Not suitable for children 0-3 years: potential choking hazard & small parts. For trade enquiries, please get in touch. 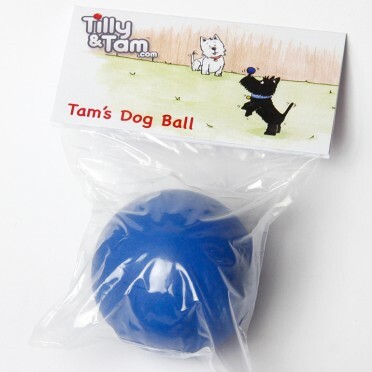 © Tilly & Tam Limited, 2012. Advertising. Sitemap. Terms. Contact Us.